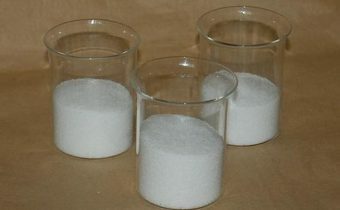 Polyacrylamide(PAM), often referred to as “polymer” or “flocculant”. It is a long chain, linear organic polymer made up of individual monomer units with the molecular formula of C3H5NO and molecular weights ranging from 3,000,000 to 30,000,000 Daltons. PAM is a dry white or light yellow powder similar in shape to table salt. It readily dissolved in water to form a viscous, colorless solution. It is non-toxic, non-corrosive, non-hazardous, and easily decomposes into its base elements of Carbon, Nitrogen and Oxygen at temperatures more than 120°C. Anionic PAM: It is widely used in waste water treatment of chemical industry, municipal sewage treatment, such as coal washing, mineral processing, metallurgy, iron and steel industry and electronic industry. It is also used in oil industry to enhance oil recovery which is widely used. 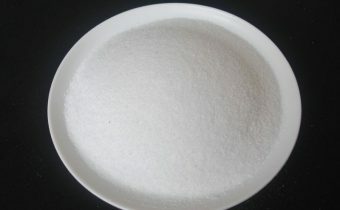 In addition, it can be used as paper additives and textile pulp agent. Cationic PAM: It is very efficient in usage and has high dehydration rate. It is used for the waste water treatment in alcohol factory, monosodium glutamate factory, sugar factory, beverage factory, tanneries, dyeing and other fields. It has a better effect to be used together with inorganic coagulant in particular. It can be used as paper additives as well. Non-ionic PAM: It is the most appropriate to use NPAM, when the sewage is acidic. 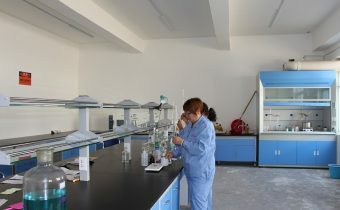 It is also used as agents for the textile pulp, paper chemicals, water shutoff agent, and etc.Because of its non-ionic functional group, PH value and salts have a little influence on NPAM’s flocculation. In the neutral or alkaline conditions, the flocculation effect is not as good as APAM, but better than APAM in acidic conditions. Amphoteric PAM: It can be used in a wide range of PH value. It can also be used in ore leaching with strong acid or extract valuable metals from the acid catalyst with metals. Amphoteric ion is not the mixing of anionic and cationic. It is applied to all kinds of waste water treatment like oil contamination, organic sewage, inorganic sewage, complex sewage with frequently water quality changing and sludge dewatering. It is also used as paper additives, oilfield water shutoff agent, and etc. In two-layer bag with the interior in plastic and the exterior in paper. The weight of each bag is 25kg. The product shall be sealed and stored in the dry and ventilated place to prevent from rain, high temperature and strong sunlight.